Many people have run into a barrage of format issues when using iPhone 8/8 Plus and iPhone X, for instance, iPhone 8/X recorded videos are not readable by Premiere, clips from new iPhone X cannot be imported to Final Cut Pro X. That's because Apple added new media formats in iPhone X, iPhone 8/8 Plus running iOS 11: HEVC and HEIF. Users will save up to 50% space when taking videos or photos. While the most commonly accepted formats namely H.264, JPG are still compatible with iPhone 8/8 Plus and iPhone X. In terms of audio file, AIFF and WAV are missing on the list of iOS 11 iPhone 8/X supported video audio formats, with lossless audio codec FLAC added for the first time. You can import, play, and edit the following video and audio formats on iPhone 8/8 Plus/X without needing iPhone video format converter. Support to mirror and output video up to 1080p HD through Lightning Digital AV Adapter and Lightning to VGA Adapter. Recorded video formats: H.264 or HEVC, 720p video recording at 30fps, 1080p HD video recording at 30fps/60fps, 4K video recording at 24 fps/30fps/60fps. 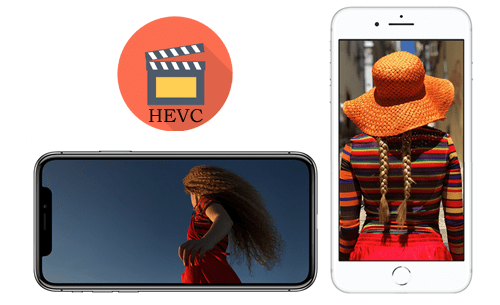 HEVC (H.265) codec support is the biggest change coming to iPhone 8/X video formats. iPhone 8/X support to record 4K 60fps HEVC video with as much as 50% space saved, compared to H.264. Tap formats, and then tap High Efficiency. Now, your iPhone 8/X will use HEVC and HEIF formats for videos and photos. Both macOS High Sierra and iOS 11 start to support HEVC codec, you can open, play and edit HEVC videos with iMovie, QuickTime Player on macOS High Sierra. To work with HEVC video files, you need to update to iOS 11 or macOS High Sierra on your iDevices. Is HEVC the best video Codec for iPhone X/8? Free download H.265 converter and convert H.265 to H.264 codec. H.264 codec is the best for iPhone 8/X in terms of compatibility. Stop using HEVC format and record videos on iOS 11 using Most Compatible mode. Go to Settings > Camera > Formats and choose Most Compatible. By the way, iPhone X/8 also include support for HEIF. You can open, view, edit and share HEIF images on iOS 11, macOS High Sierra, Photos app. Like HEVC, you can capture images in the Most Compatible mode or transfer HEIF to JPG format that is universally accepted. MP3, Protected AAC, AAC-LC, HE-AAC, HE-AAC v2, FLAC, Apple Lossless，Linear PCM, Dolby Digital (AC-3), Dolby Digital Plus (E-AC-3), Audible (formats 2, 3, 4, Audible Enhanced Audio, AAX, and AAX+). As you might have noticed that FLAC is on the list of iPhone 8/X audio formats. 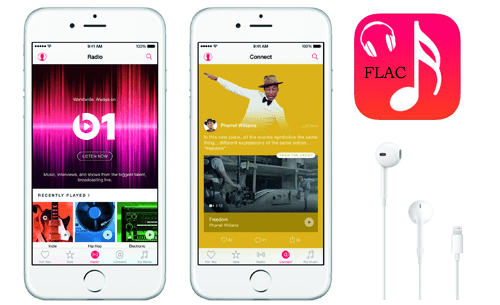 Yes, Apple has added support for the FLAC, a lossless audio codec, on the latest iPhone X, iPhone 8/8 Plus, 4K Apple TV, and iPhone 7 with A10X Fusion chips is also able to play FLAC after iOS 11 update. FLAC vs MP3, the former offers CD quality or even better but at up to half of the size. However, iPhone 8/X owner can only play FLAC within the File app, not the Music app. The newly added FLAC isn't the best audio file format for iPhone 8/X considering its incompatibility with iPhone 6s/SE or older and playback limits. It's worth noting that AIFF and WAV audio formats supported by iPhone 6s or older are not accepted by iPhone 8/8 Plus and iPhone X anymore. * Convert MKV, FLV, WMV, MTS, AVI, etc. to iPhone 8/X supported MOV, MP4, HEVC, H.264. * Upconvert 720p SD videos to HD, 4K UHD for iPhone 8/X, or compress 4K to 1080p, 720p. * Transcode iPhone 8/X HEVC files to H.264, MPEG-4 for old iPhone, Android, FCP X, PC. Step 1: Launch the video converting software for iPhone 8/X on your computer. Click Add Video icon at the top and select videos you'd like to convert. Step 2: You will see an Output Profile window after the source video is loaded. Go to Apple Devices > to iPhone Video, and select the iPhone 8, Plus (H264) or iPhone X (H.264) - audio codec will be set to AAC, then click Done to save the settings. H.264 vs MPEG 4, H.264 gives more efficient compression rate, but H.264 video encoding is more complicated and requires better computer performance. 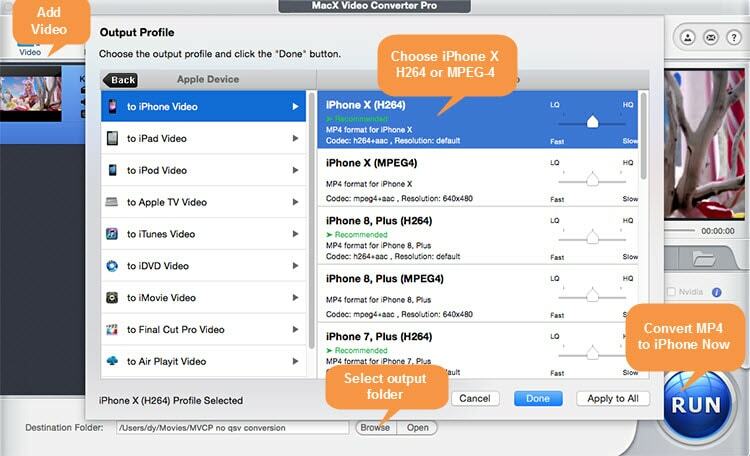 If you want to convert HEVC video recorded on iPhone 8/X to H.264, MPEG 4 or other more widely supported video codec, you need to transfer iPhone 8/X video to Mac or PC, then use the iPhone 8/X video format converter to transcode HEVC to H.264, etc. Step 3: Click Browse to select a destination folder to store converted files. Step 4: Click RUN to start to convert video to iPhone 8/X supported video audio file format. Free download the best video converter for iPhone 8/8 Plus/X, MacX Video Converter Pro to convert video of MKV, WMV, AVI, FLV, MTS etc. to iPhone 8/8 Plus/X supported format HEVC, MOV, M4V, MP4. You can also convert HEVC media files from iPhone 8/X to H.264, MPEG-4 codec format.